The Communications Committee of the House of Representatives on Sunday approved six articles of a draft law proposed by the government to protect personal data. According to article one, the provisions of the law apply to anyone who commits any of the crimes stipulated in the law, whenever the perpetrator is one of the following categories: Egyptians inside or outside the Egypt, non-Egyptians residing in Egypt and non-Egyptians outside Egypt. The article also states the law’s provisions apply if the act committed is punishable in the country where it took place, as long as the crime concerns Egyptians or foreigners residing in Egypt. Chairman of the Law and Legislation Committee of the Ministry of Communications Mohamad Hegazy said that the article aims to protect citizen data and privacy and is also essential in supporting investments, thereby improving Egypt’s international indicators within this regard. He added that the article also aims at subjecting international companies to Egyptian law even if it was not on its territory, as long as this concerns Egyptian data. “The draft law has very important points, it is a technical law and is consistent with the international conventions and the European regulation in this regard, it is legislation with challenges that we try to overcome by the provisions of the law and the regulation,” Hegazy said. MP Ahmed Refaat, member of the Communications Committee of the House of Representatives, said that the law will eliminate the idea of leaking data and punishes perpetrators with deterrent penalties. He said that telecommunications companies objected to imposing an imprisonment penalty on companies in the case of leakage of customer data by means of a technical error unintentionally, pointing out that the Committee will amend this article to be a fine penalty for the leaking of data by mistake, and imprisonment in case of deliberate leakage. He added that the law will include deterrent penalties in case of deliberately leaking personal data, in order to protect the personal security of citizens and their data and the national security of Egypt. 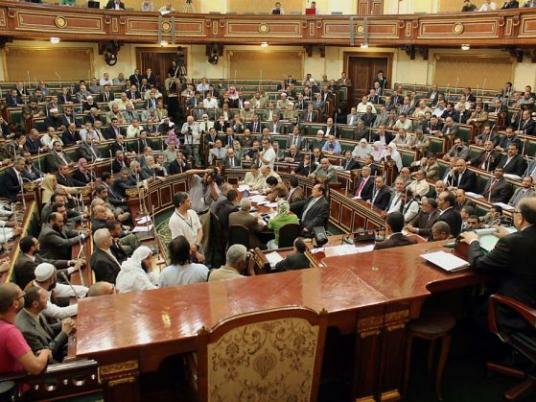 The Egyptian Cabinet approved the draft law and sent it to the House of Representatives in August. The bill consists of 49 articles to ensure legal and technical protection of personal data on the Internet, according to the Communications Committee.